Joël and Christine Laval, Joël’s brother, Philippe, and their father, operate this 30 hectare (about 80 acres) estate in the heart of Aniane in the south of France. 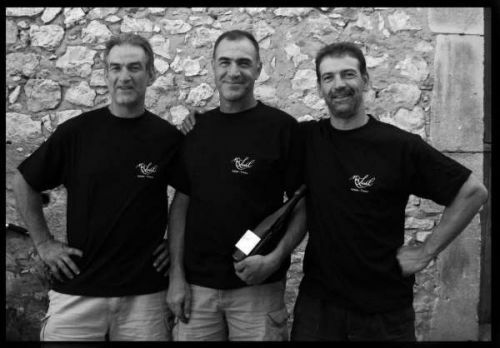 Philippe works with the vines, Joël is a bank director but also works nights and weekends on the estate, and their father, retired for many years, continues to handle pruning and other vineyard work. 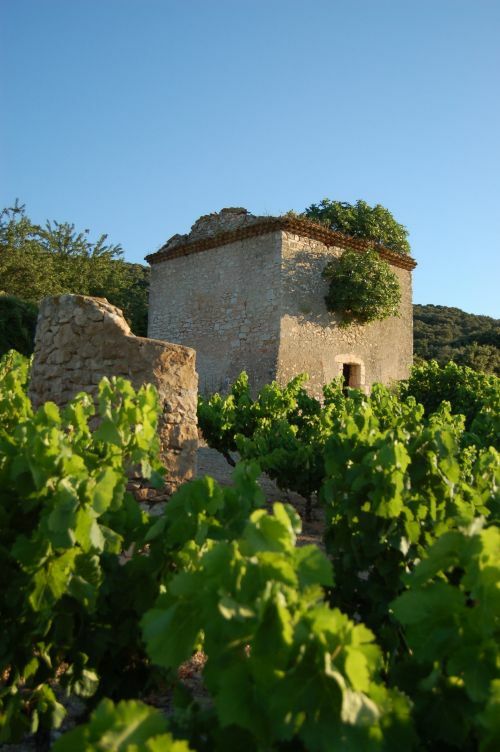 The small town lies 25 kilometers inland from Montpellier on the Mediterranean coast; its vineyards are renowned for a unique geologic and climatic situation. 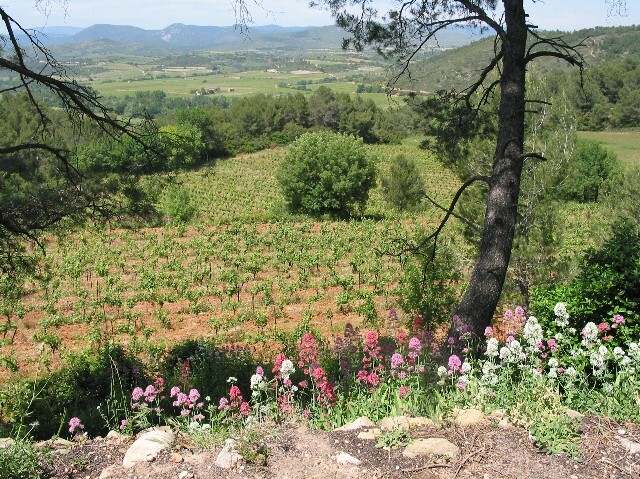 The local combination of deep, well-drained glacial limestone soils and cool night breezes from the nearby Larzac plateau favor production of Syrah, Grenache, and Mourvedre grapes in Aniane, which have been the traditional choices for red wine since Roman times. Their vines are between 25 and 70 years old, producing concentrated and expressive flavors. All vineyard labor is manual, and only natural fertilizers are used. 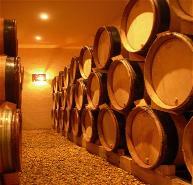 A long, natural fermentation of each variety is followed by 18 months in slightly used French oak barrels. They work 35 hectares of which half goes to the local coop. The other half, benefiting from all their care, is vinified in ultra-modern equipment. Impeccable cleanliness, a climate-controlled cave, not at all frequent in Languedoc, and magnificent one-year old barriques from Burgundy’s most prestigious domaine, all contribute to their line of only two wines. “Les Pampres”, at the entry level, is worth a top wine elsewhere. 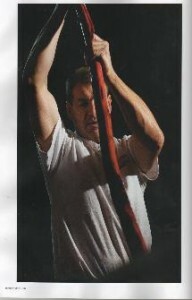 The grand vin carries the Mas Laval domaine name and is shaking up the languedocienne hierarchies.